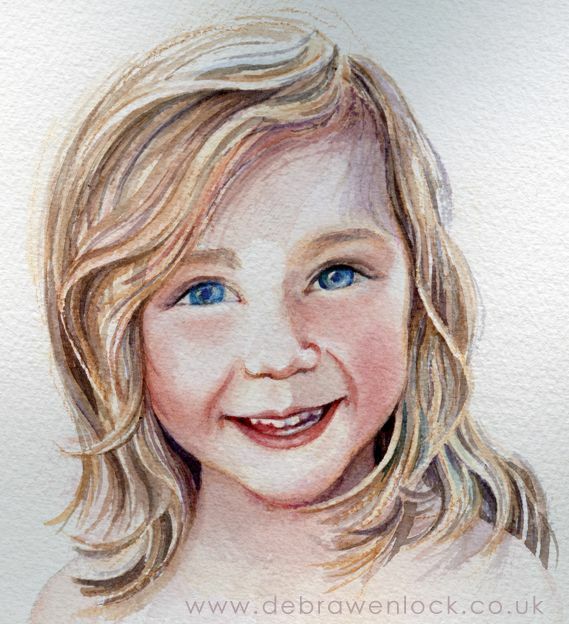 Beautiful Beth was a little more of a challenge to paint than her sister Anna, as her big smile gives me another detail to paint – her teeth! They can be difficult to paint, as I found with one of my self-portraits – giving myself a denture-like set of gnashers that was tricky to correct. I think I pulled it off here – with watercolour it’s not too difficult to add the gentlest suggestion of shadow – assuming the shape is convincing enough. She looks happy – so I’m happy!